Confetti to make your wedding day photography complete! Do you know when the earliest reference to confetti was made? Henry VII was showered with wheat by a baker's wife shouting 'welcome and good luck'! www.newforestweddingphotographers.co.uk, encourage the use of it! No-one minds real flower petals scattered on the ground as it is, of course, natural and biodegradable. This is a lovely idea by www.naturalconfetti.co.uk. 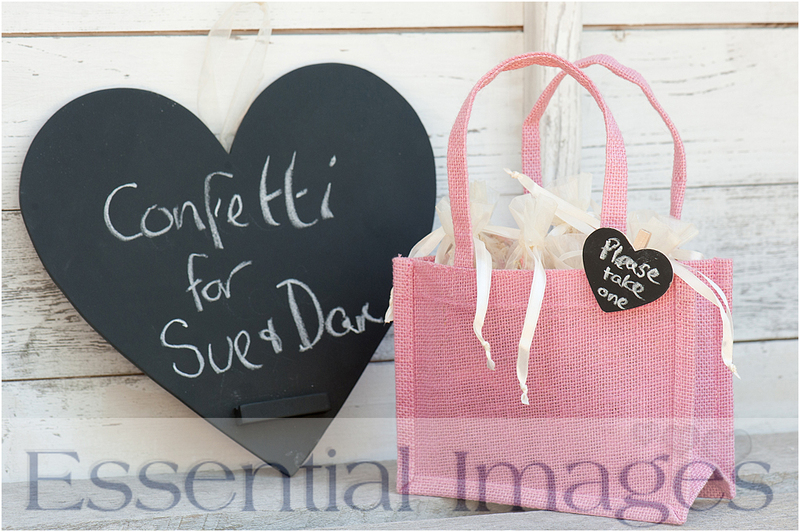 A little jute bag with organza bags of real delphinium petals. I can just imagine a little flower girl holding one of these and handing out the confetti to guests to throw their good luck wishes over the bride and groom!